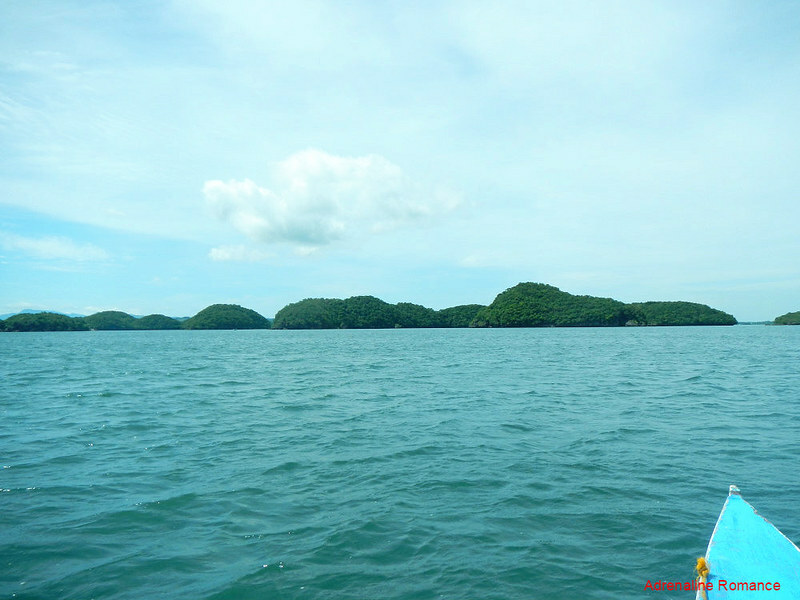 From our history and geography lessons in school, we learned that the Philippines has more than 7,100 gorgeous islands. But when you look at a map of the country, it would seem that there are only a handful of them, no more than three dozen. Well, it turns out that many of the smaller islands, islets, and outcroppings are grouped into mini-archipelagos, which are ideal for exploration, fun, and adventure. 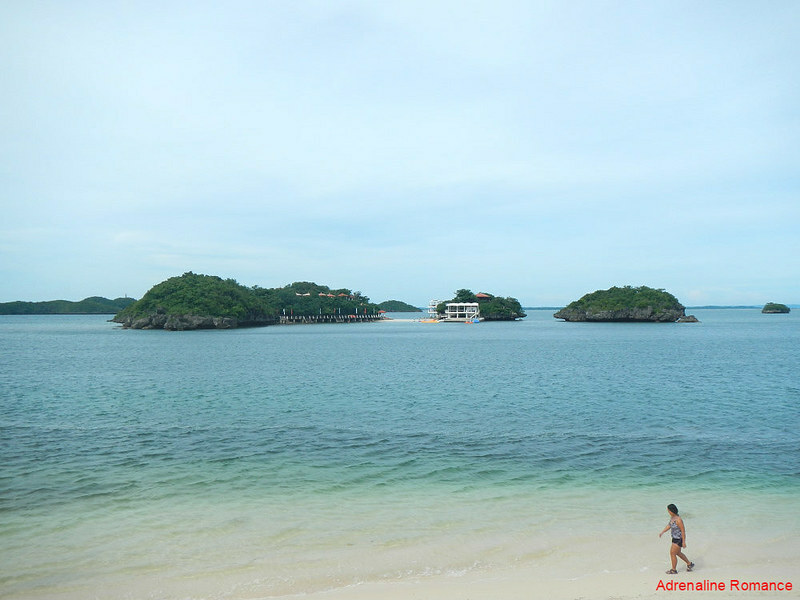 The Hundred Islands National Park in Pangasinan is the most famous of these idyllic clusters. We left Pagudpud at around 5 PM. Yet, more than 10 hours later in a cold bus with seats that sorely lacked legroom, we still haven’t reached our destination in the province of Pangasinan. It was a terribly exhausting ride since we had to change buses twice! In fact, we thought that our exhaustion would rob us of our enjoyment. But as we approached Alaminos, the most wonderful thing happened—daybreak! The beautiful rising sun swept the sky with a distinctive fire, fueling our energy reserves. Sunrises like these never fail to re-energize us. We reached the town of Alaminos to have a quick tapsilog breakfast. Somehow knowing we were visitors, two young tricycle drivers offered to take us to the jump-off to the Hundred Islands for a reasonable rate. Okay, seems fair enough. Off we went. However, the duo did not head to Lucap Wharf, which, according to our research, was only a short ride away from the town proper. Instead, we went back north, heading deeper into the land, into vast farms instead of the coast. We were silent, but we were genuinely scared. Are they going to kidnap us? Well, it turned out we were simply paranoid. They actually led us to an alternative LGU-registered port in Barangay Bued. They finally explained that the Lucap Wharf was starting to get crowded; they only wanted us to have an easy and convenient experience. Thank you, guys! 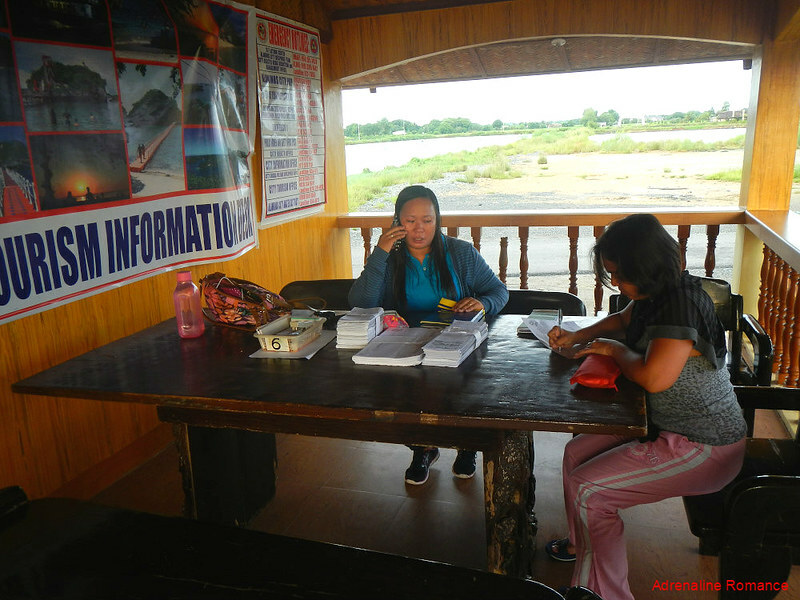 We arrived too early—the tourism officers scrambled to find a boatman who could serve us. Hahaha! 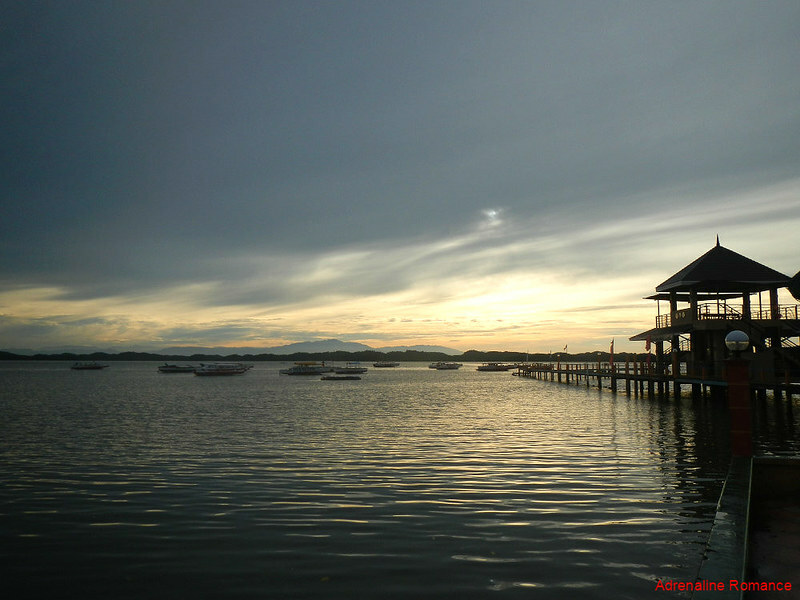 While waiting for our outrigger boat, we walked around the empty wharf and took photos of a gradually brightening sky. The rising sun slowly lit up some islands of the cluster, which can clearly be seen from where we were. There is a small viewing deck at the right of the wharf, which offers a fantastic view of the Lingayen Gulf. From our vantage point, we can see the faraway blue mountains of La Union. Getting around the Hundred Islands National Park requires a cruise in motorized bancas (outrigger boats) of varying sizes. Many of the boats were still docked, silently rocking along the waves of the incoming tide. Their drivers were probably still in bed; tours usually start at 8 AM. We were there at 6 AM! Hehehehe! 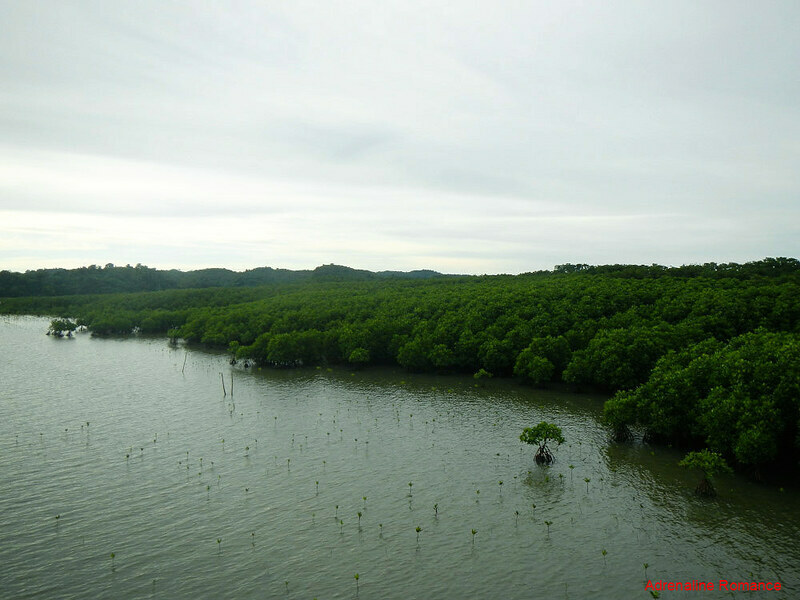 A thick and healthy mangrove forest protects the coastline of Cabarruyan Island, the largest island in the archipelago and dubbed the “mother” of the Hundred Islands, from erosion. Mangrove forests are essential to a healthy marine and littoral ecosystem. Fortunately, we didn’t wait for long. The tourism officers were able to tag an early riser. In no time at all, we were on our way to the middle of the cluster. Check out the water. The light brown color was due to the silt deposited from the mouth of a nearby river. It was raining hard the night before, and the rainwater carried massive amounts of silt into the sea. We entered the cluster and first docked on Governor’s Island, one of the most popular islands in the National Park. It has a smattering of one-air cottages and other structures. 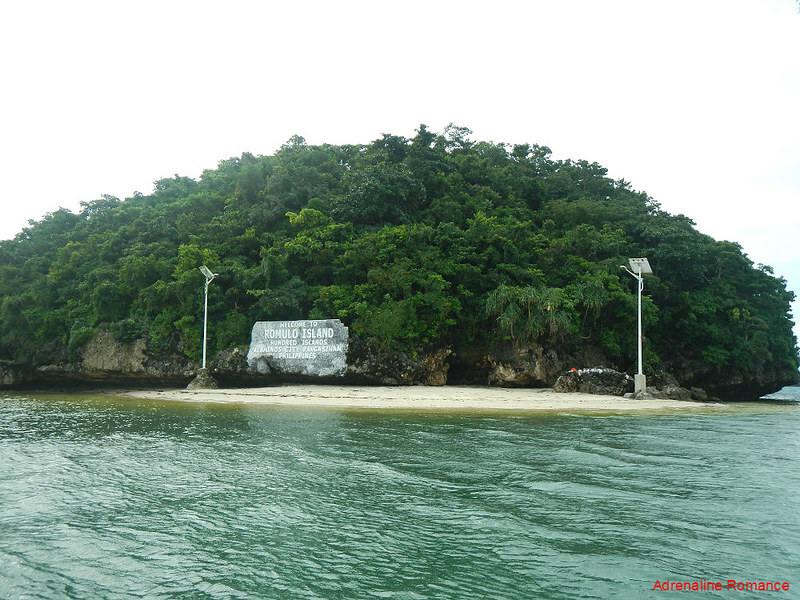 For a time, Governor’s Island and many of the islands around the park were declared as part of a Tourist Zone and Marine Reserve under the administration and control of the Philippine Tourism Authority. A few months after, fisheries around the area were withdrawn and placed under the PTA. From the dock, we climbed up a concrete stairway that led to the top of the highest hill of Governor’s Island. We walked through light woods and mossy rocks, all of which are shelters for the many reptiles, insects, and mammals that call this island home. The view deck at the top of Governor’s Island offers an encompassing view of the verdant archipelago. Wow! We suddenly remembered photos of this lovely natural attraction in postcards and textbooks, and we could hardly believe we were actually looking at it after more than 30 years of waiting! 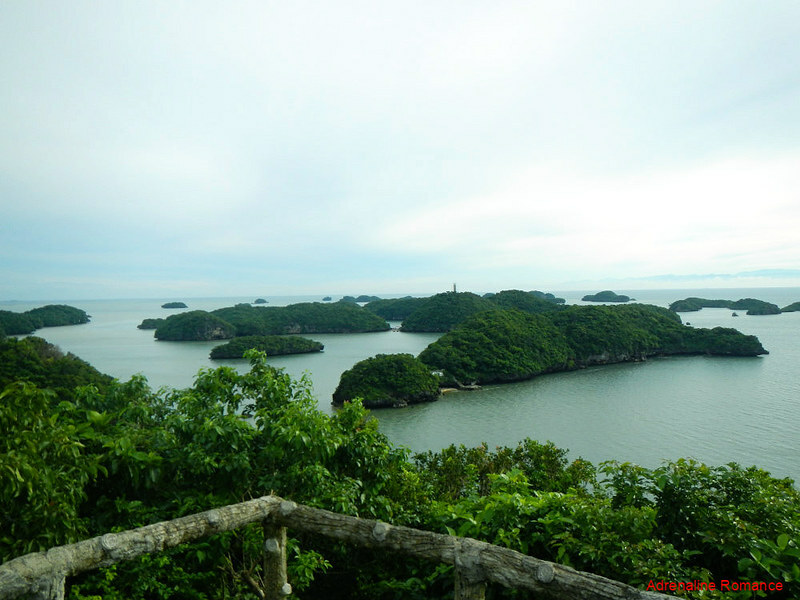 The Hundred Islands National Park was created in January 1940 via Presidential Proclamation 667 and signed by President Manuel Quezon. 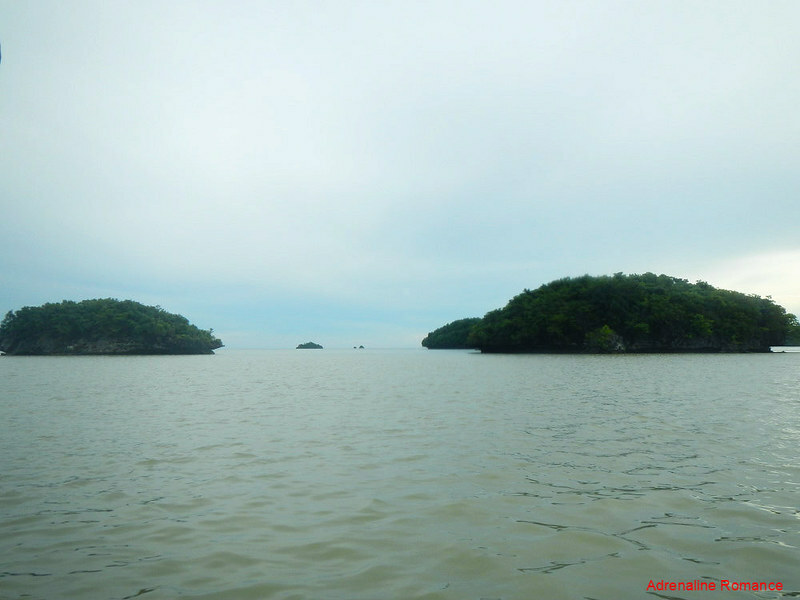 The small archipelago in the Lingayen Gulf is made up of 124 islands and islets grouped together in an area of almost 17 square kilometers. After we took a number of photos (with Loraine experimenting the settings of her new DSLR camera), we went down and crossed a floating pier that led to another island. That’s Governor’s Island in the background. During peak season, the shallow water between these two islands make perfect swimming spots for beach goers. That’s quite a lovely scenery, isn’t it? 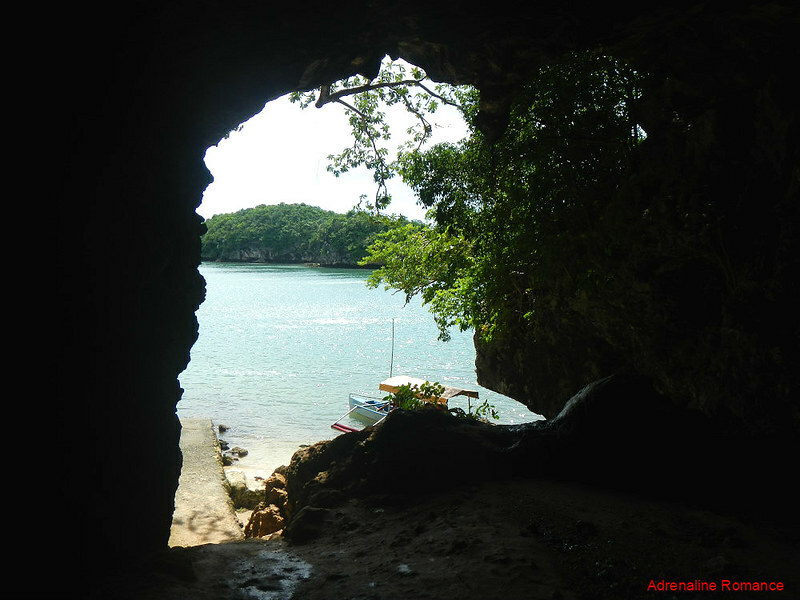 It reminded us very much of our trip in enchanting Sohoton Cove in Bucas Grande. 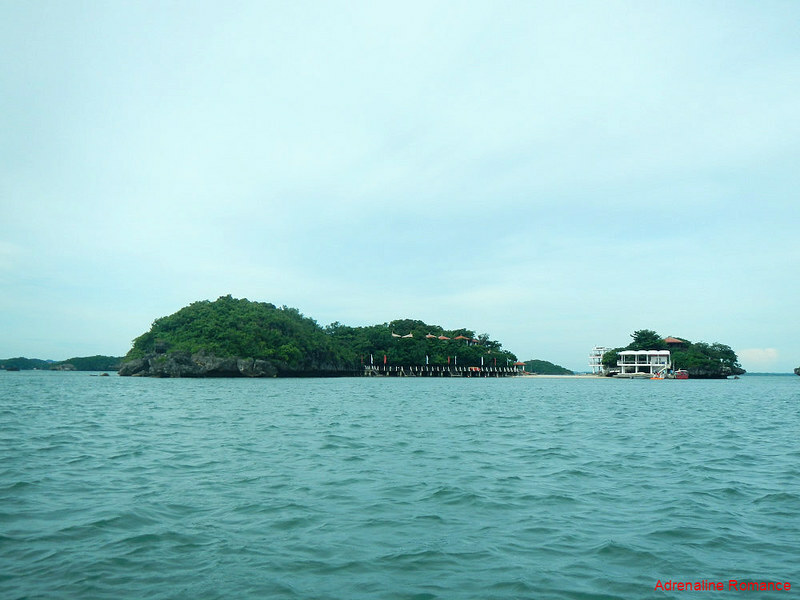 In June 2005, ex-president Gloria Macapagal-Arroyo signed Executive Order 436 which officially transferred the management, administration, operation, and maintenance of the Hundred Islands National Park from the Philippine Tourism Authority to the Alaminos LGU. This was in concordance with the Local Government Code of 1991, which decentralizes central control and encourages more power and authority to LGUs. After spending almost an hour in Governor’s Island, it was time to head out and continue our exploration. As we mentioned before, there are 124 islands in the park, but in reality, not all of them are technically islands. 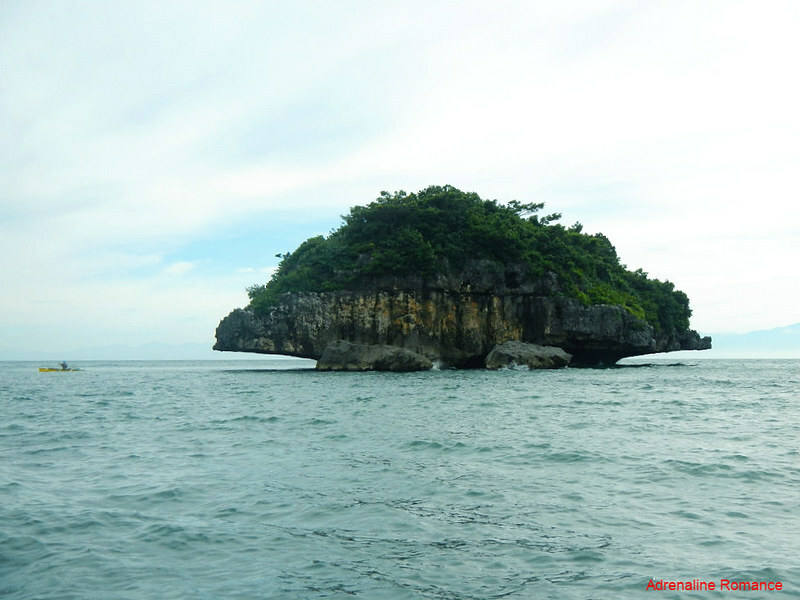 Some are small islets and rock outcroppings that jut out of the sea. Several islands have official names, prominently announced by huge boards. Who is “Romulo” by the way? When we asked our boatman this question, he just gave a shrug. Hehehe! Also, note the solar-powered lamp posts in the beach. 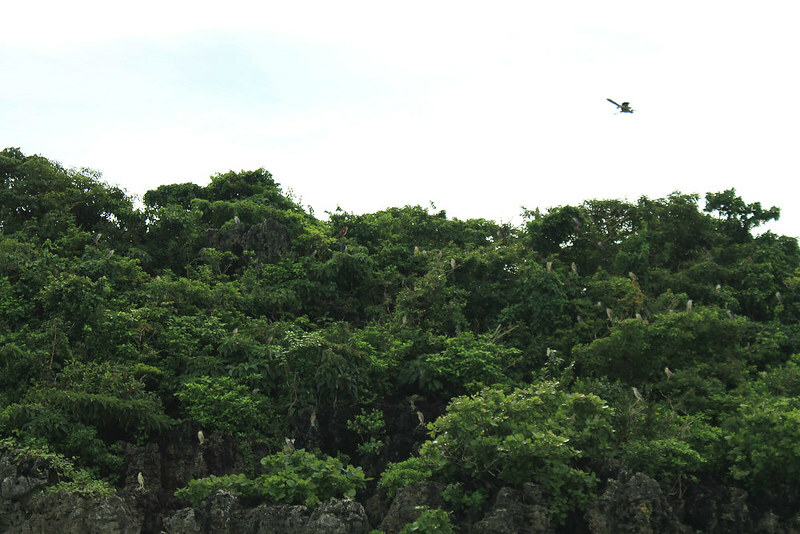 Cormorants, gulls, and other seabirds inhabit many of the undeveloped islands. The brown and dirty-white objects that stand out among the green leaves were actually large, roosting seabirds that were looking at us! 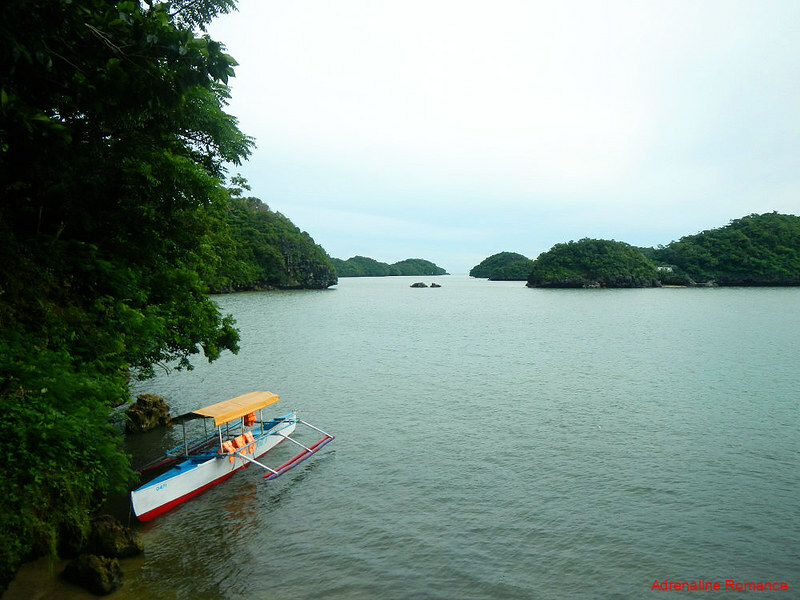 The Hundred Islands National Park is home to a diverse collection of wildlife, from avians to marine creatures. 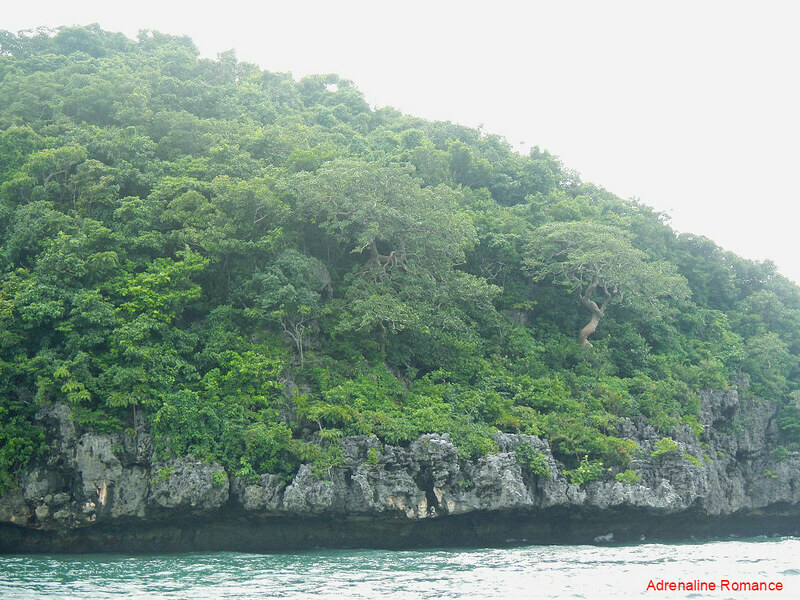 The Sagip Lingayen Gulf Project study in 2010 identified dozens of species inhabiting the area including macaques, pythons, sea turtles, and monitor lizards. 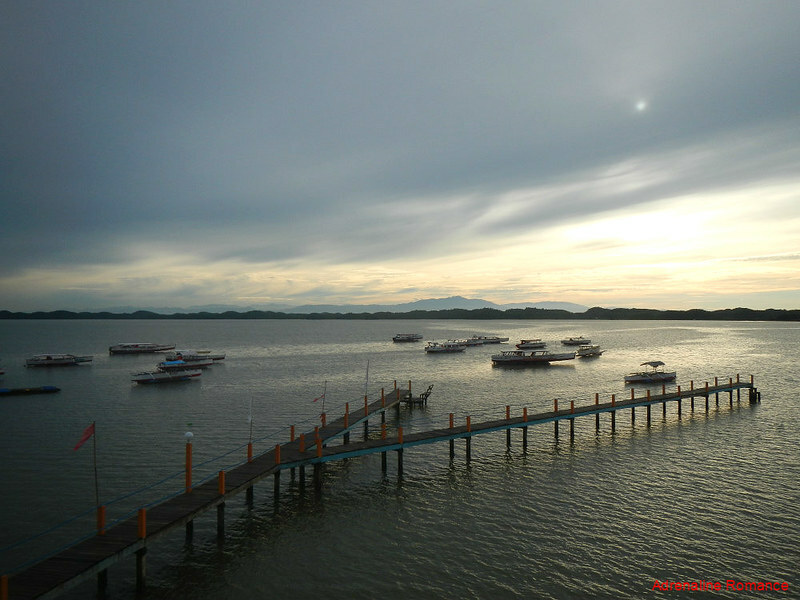 Dugongs and Fraser’s dolphins, though rare, were also sighted here. Check out those creepy-looking trees! Within the dense tree cover is a perfectly balanced and rich ecosystem that we hardly know of. These islands are ripe for tourism purposes, but we hope that developments are made in such a way that they co-exist with the natural ecosystem. 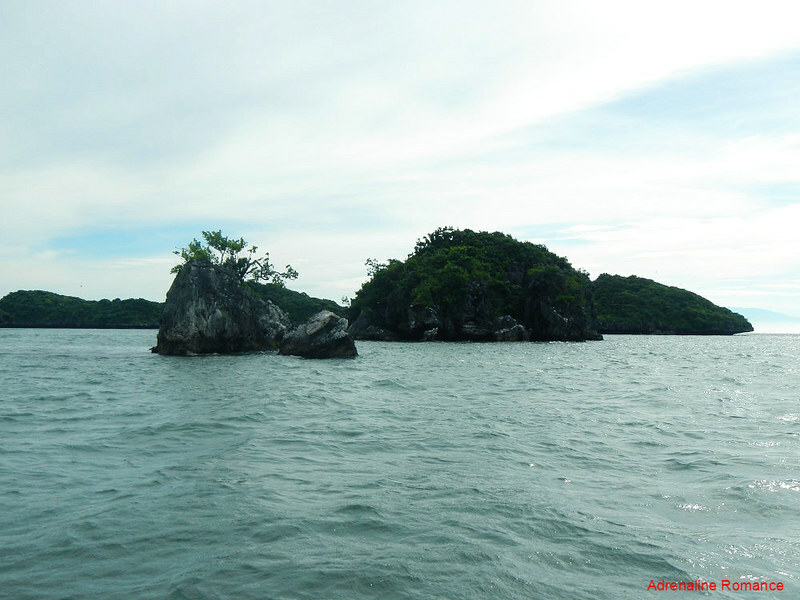 The characteristic shapes of the islands are formed by erosion. When you understand how erosion works, you will also understand how powerful and consistent Mother Nature is. Geologists believe that the islands are about two million years old. During their infancy, they were coral reefs that extend inland. 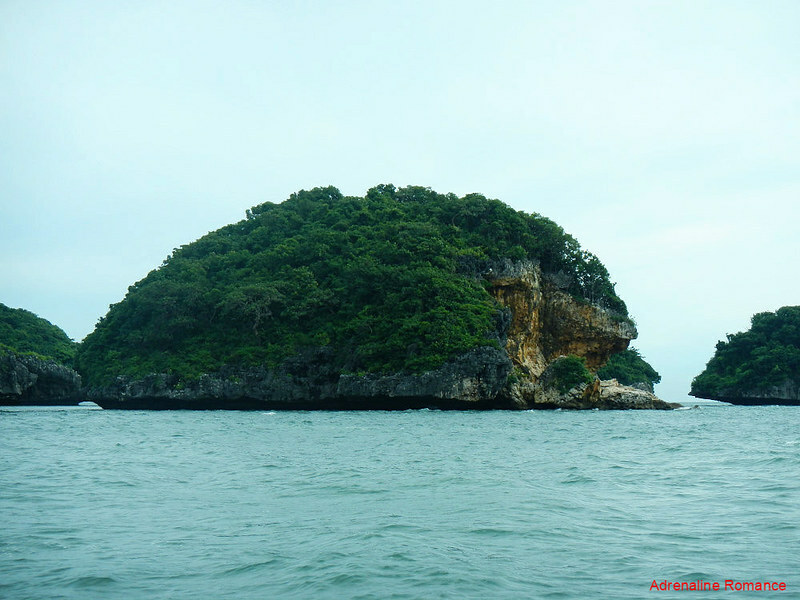 When the sea level lowered, the reefs were exposed to the surface, becoming islands, islets, and outcroppings. Even if the islands are made of coral stone, they are not invulnerable to catastrophic geological failure. One entire section of this islet looks like it’s cleaved off by some giant axe. The rockfall is not yet discolored or overgrown with foliage. That means, the rock avalanche happened relatively recently. 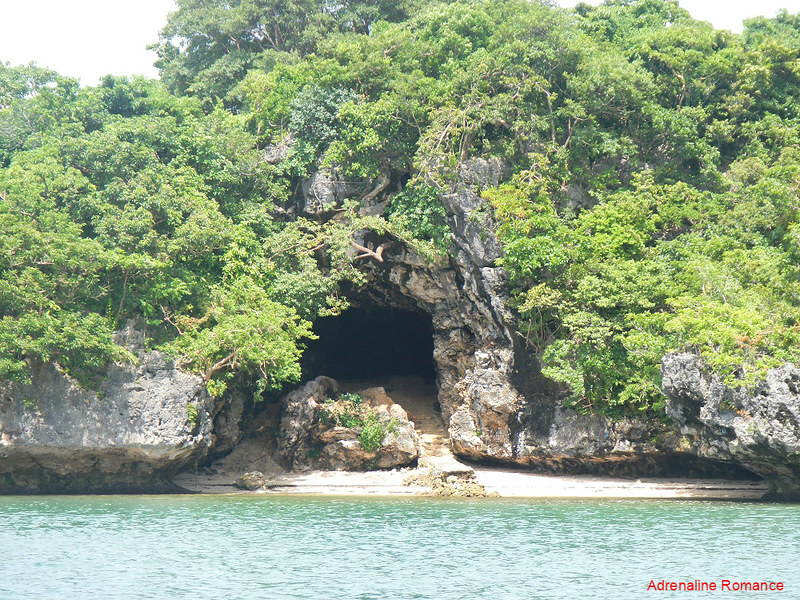 Some islands are adorned with large, natural cavities and caverns. 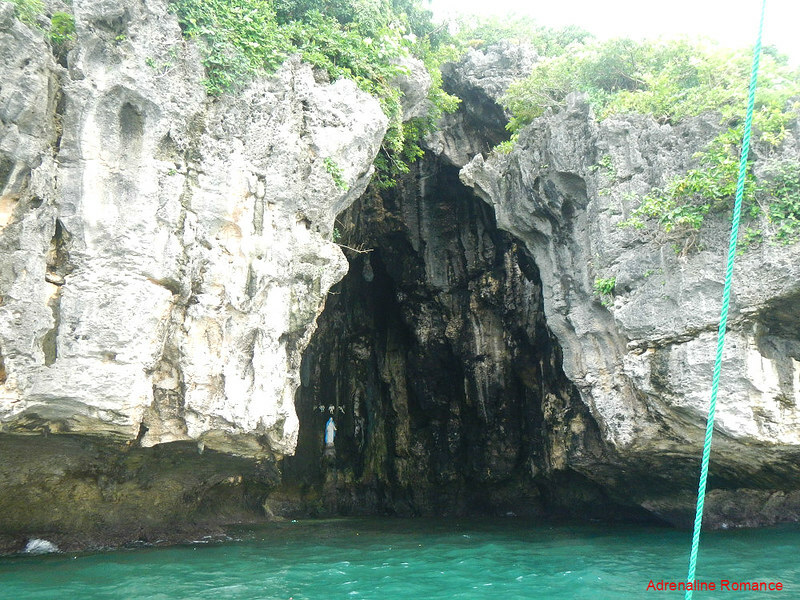 This one is particularly interesting because locals made it into a grotto with the image of the Virgin Mary erected inside it. 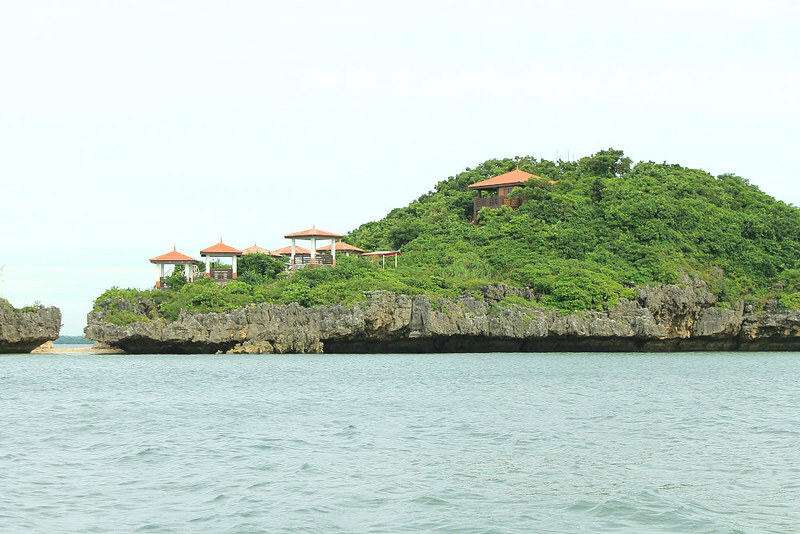 Some islands are probably reserved for the rich and famous. This one has a nice guest-house like structure and some open-air gazebos. The entire compound looks classier than the rest of the structures in the park. Is this a private resort? 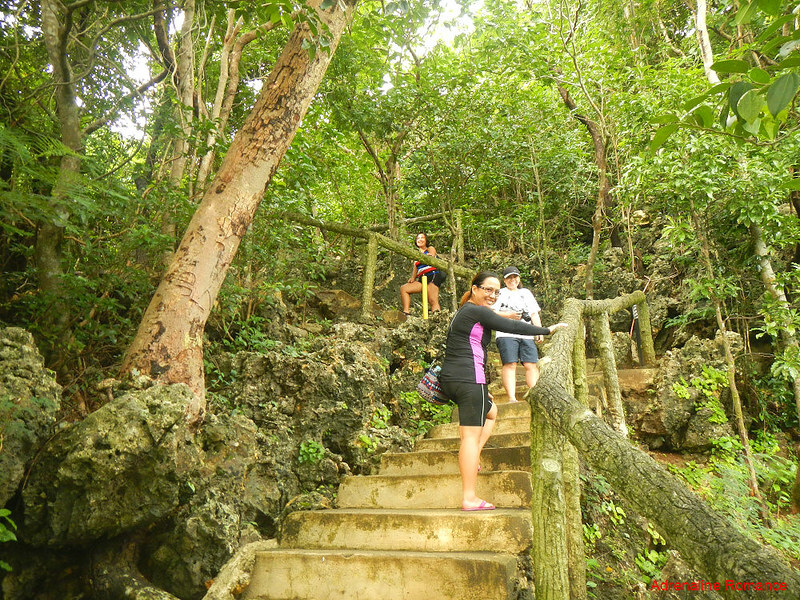 We learned from the tourism office that Quezon Island has a wall climbing facility. Let’s check it out. 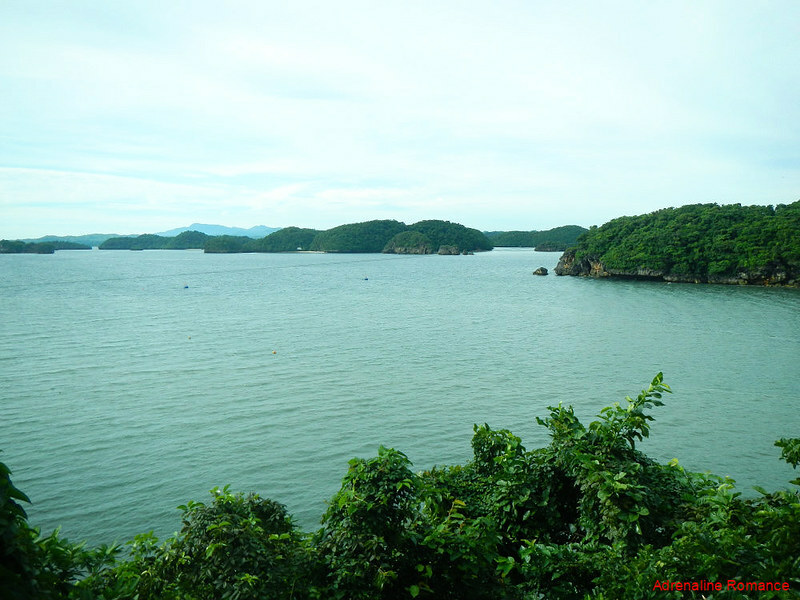 Quezon Island is one of the developed islands in the park, and it has a number of resort-related facilities. Well, apparently, we were there too early. Nothing has opened yet, and the only people there are the caretakers who are readying the island for the coming visitors. We were bummed to know that the wall climbing facility hasn’t been operational for quite some time after the personnel manning it quit their jobs. Huhuhuhu! 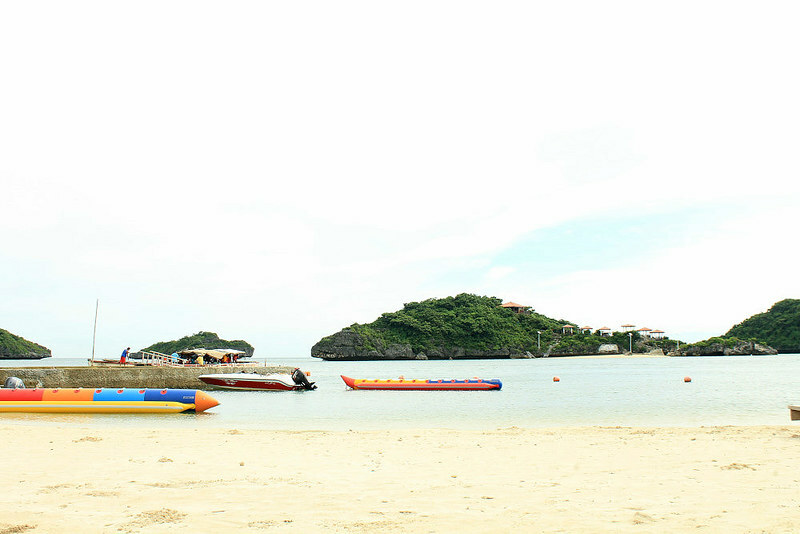 With banana boats, speedboats, jet skis, and other facilities, the resort seems to offer a lot of fun. With the number of staff coming in, the resort became busier by the minute. Our boatman suggested that we visit another island where we will be virtually alone. In less than 5 minutes, we were frolicking in a virtually isolated beach with a fantastic view of the archipelago. Just check out the photo below. Now, that’s paradise, isn’t it? Also, the water here was quite cool. Not frigid but cold enough to give us the shivers. Across us is Quezon Island. It’s so close that a good swimmer can actually swim between the islands. It is interesting to note that in the streamers and posters in the tourism officers, there are photos of clams, clownfish, and coral reefs. 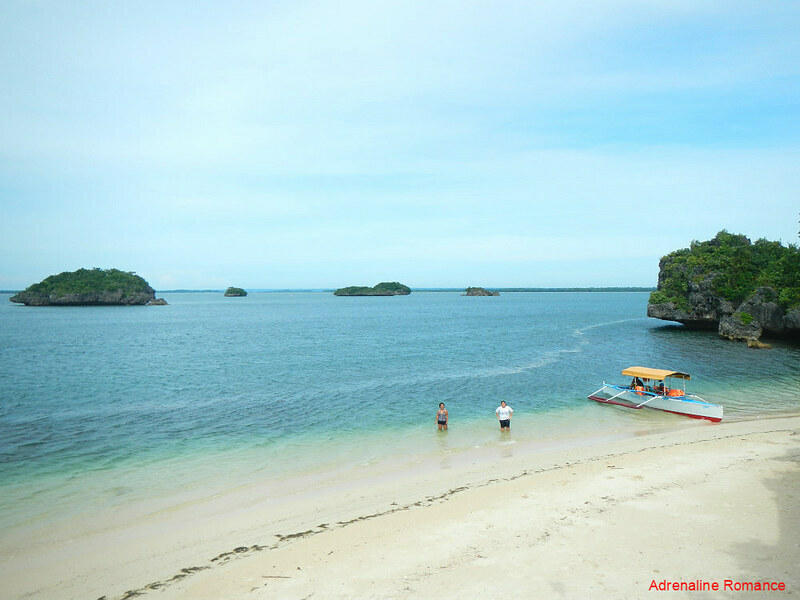 Altogether, they suggest that the archipelago has nice dive sites that are worth exploring. However, we haven’t seen any dive shops nearby. The water increasingly became too cold for comfort, so we decided to head to another island. 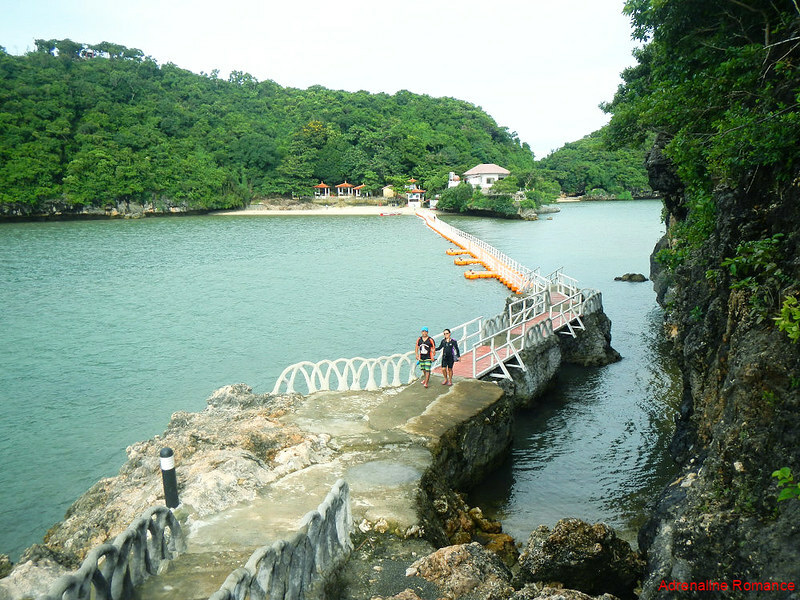 They call this Children’s Island, most probably because of the candy-colored facilities and the shallow water which is safe for children to swim around. 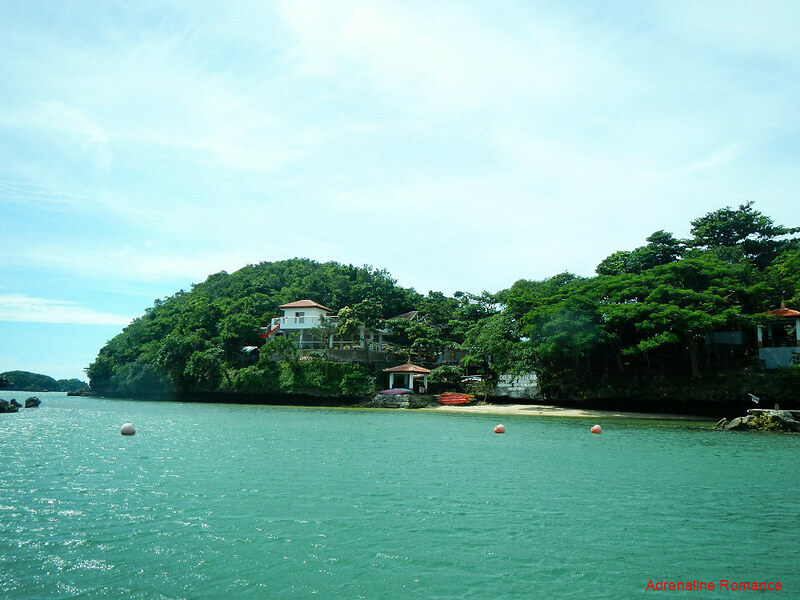 Our boatman explained that during summer or Holy Week, many of these islands are filled to the brim with visitors, beach lovers, and tourists. On our way home, we saw a large cave. We wonder how deep this goes, so we decided to make a quick stop. Well, it was just a naturally hewed rock tunnel that was just a few dozen meters long. But the view from inside is quite Instagram worthy. Hehehe! As noon approached, we decided to head back to Bued port to wash up and prepare for a long bus trip back to Manila so we can catch our flight back home. Our 5-day long trip along the western and northern part of mainland Luzon was a success. We reconnected with our rich history and culture, which made us love our country even more. We had a great adrenaline-pumping adventure. We saw how Mother Nature and technology can harmoniously work hand in hand. We visited a town so sleepy, rustic, and beautiful that every step negated our stress. We made friends with locals. And of course, we visited one of the most beautiful and important natural treasures in the Philippines, finally fulfilling our wish to actually set foot on a place that we can only see in our history books and postcards. As you can see, the Philippines is a country of endless, magnificent beauty. Will you come with us to experience more of these wonders? We would like to thank our friends Ane, Loraine, and Halourd who accompanied us through this journey. 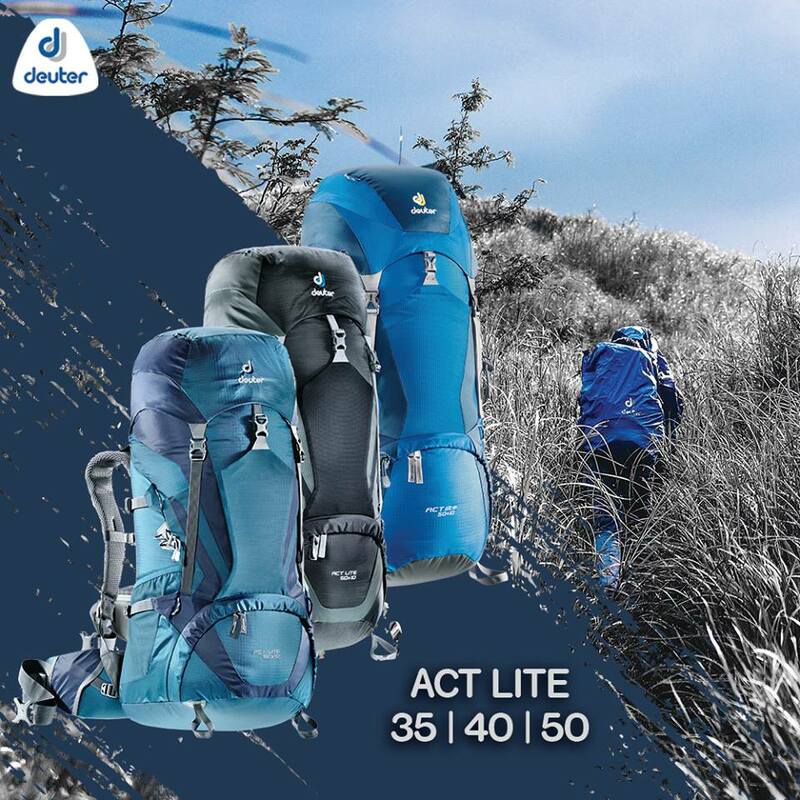 These fellows are some of the best travel and adventure buddies we have. Our sojourns are always more fun when they are with us. Separate rates for facilities and activities as well as overnight stays. Please see the tourism office rate sheet for specific rates. * Rates are subject to change without prior notice. We did not include our expenses for meals, snacks, souvenirs, accommodations, tips, and other fees in this rate sheet as you may have different needs, preferences, itineraries, and sharing scheme from us. **20% discount for PWDs and senior citizens. Children 5 years and below are free. 2. To save money, bring your own food and beverages. In general, foodstuff bought from resorts cost twice or thrice as much as supermarket prices. 3. We recommend starting your island hopping adventure early in the morning where there aren’t many tourists. The charm, serenity, and the feeling of oneness with nature disappears when there are too many visitors around. 6. Do not litter and dispose your garbage properly. Do not throw anything, even organic wastes, to the sea. 7. Keep your sandals, flip-flops, or aqua shoes on to protect your feet from sharp rocks as well as broken glass and other debris that may be hidden under the sand. a lovely place indeed..one of Philippine’s proud spot. Another wonderful privilege to see this face of our country. 😀 It’s beautiful! Right. Although they would become beautiful when developed, but they’re better off when not. We hope these islands would remain untouched. I love this article, thank you for sharing this very good for me. Thank you. 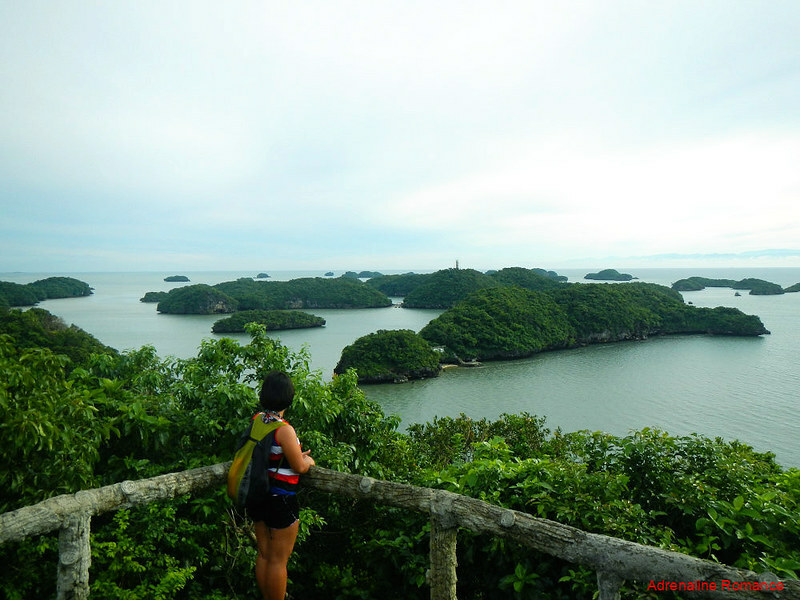 The Hundred Island National Park is one of our country’s “classic” destinations. After all these years and even with hundreds of tourists visiting the archipelago, it is still very beautiful thanks to its protected status. Please do visit the HINP if you have the chance to visit the Philippines. It would be great to visit there again to check out new attractions. We also saw a poster there about scuba diving, but we’re not sure if that’s just for advertising the park or if there are really dive sites there. Thanks for the great pics and information about this place. We are more excited now than ever. Just been trolling the internet for any information on 100 island and we found your site. We will be there summer of 2018. Can’t wait to experience the beauty and awesomeness of this place. Nice! It’s really awesome there! Don’t forget to do some aquasports. 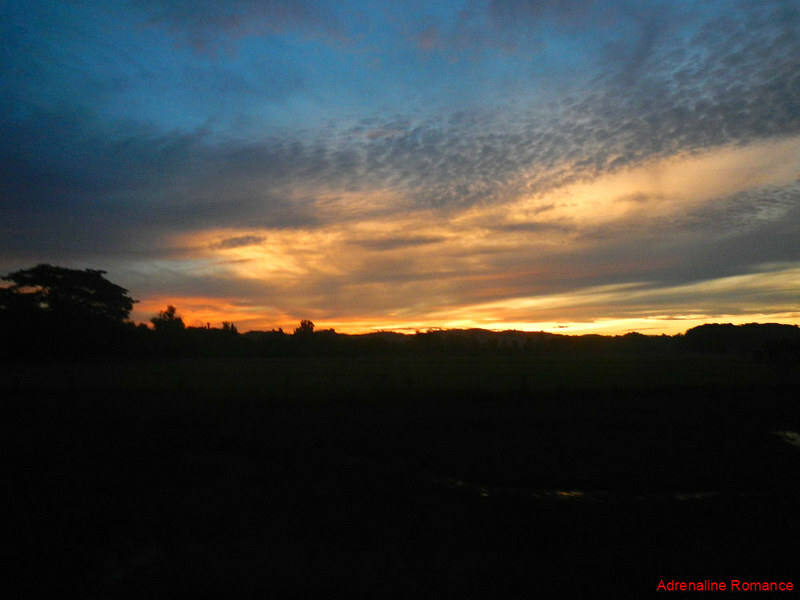 Just to let you know, the itinerary in the blog reflects our road trip from Manila to Pagudpud. 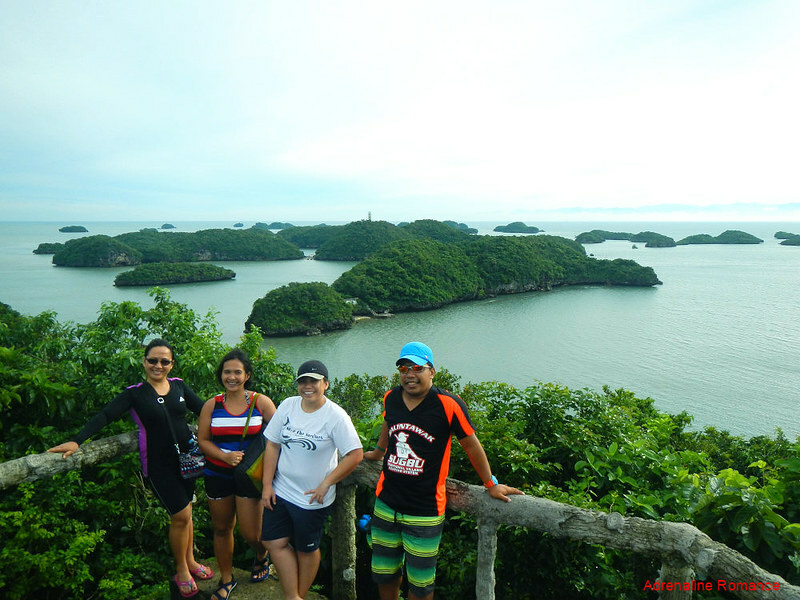 Our visit to Hundred Islands was a side trip so we’d have something to do for the day while waiting for our flight back to Cebu.